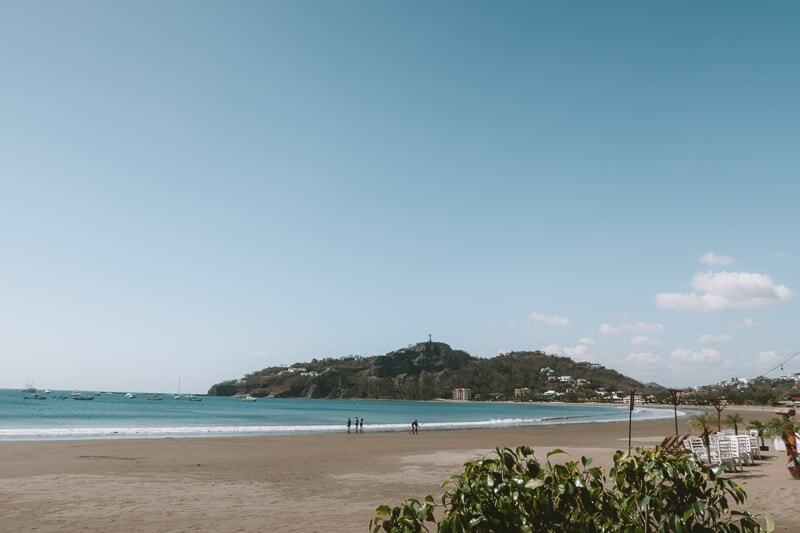 Your guide to the best things to do in San Juan Del Sur Nicaragua. 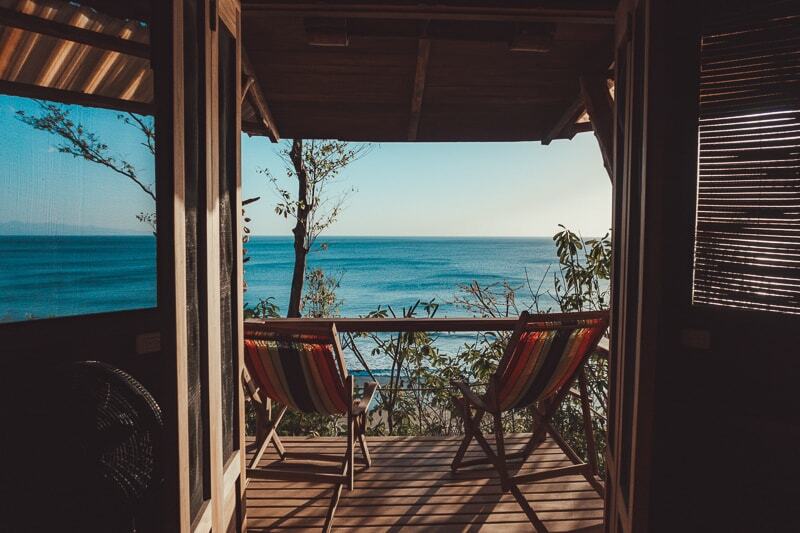 From surf, yoga, relaxing and partying, we've got everything you need for a great trip..
San Juan Del Sur is the surfing coastal resort of Nicaragua. It’s the ultimate place to relax by the sea, partake in a yoga or surf retreat or even simply seeking out beautiful waters. 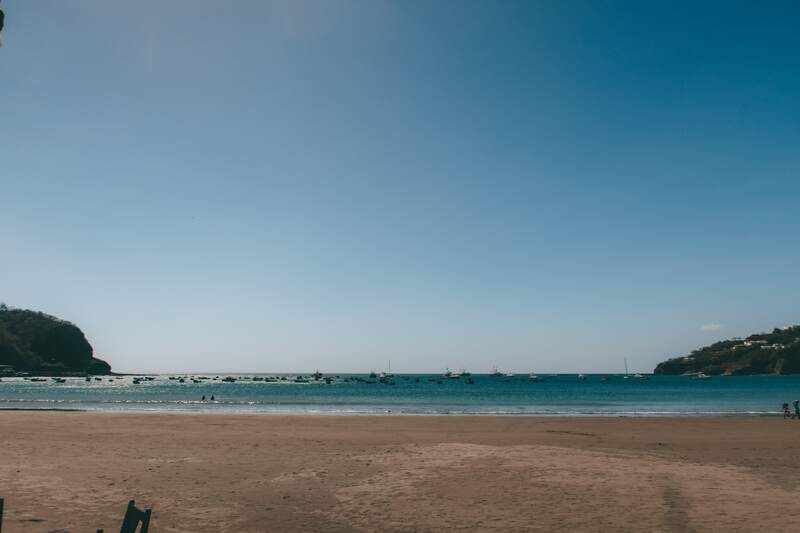 Bradley and I got spent over a week in this beautiful area, so let me show you the top things to do in San Juan Del Sur! But first, a little extra information. When is the best time to visit San Juan Del Sur? 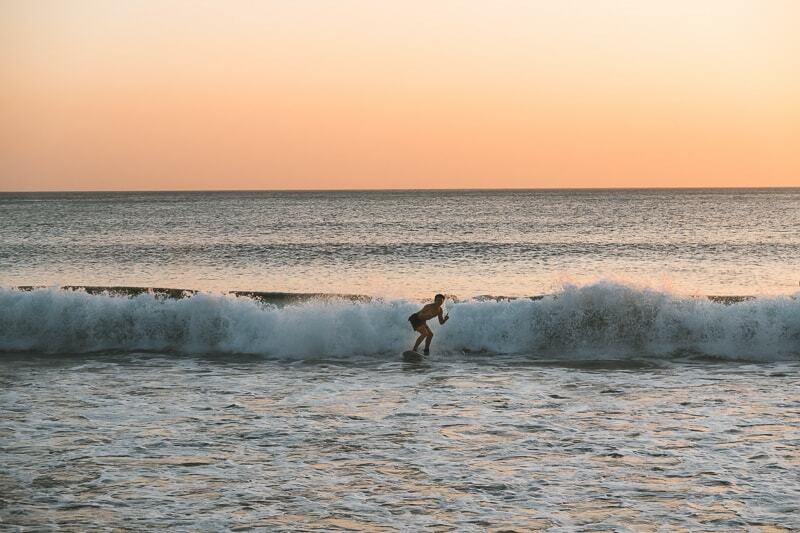 The best time to visit San Juan Del Sur is around November to April, but the great thing about surfing in Nicaragua is that surfing is pretty much available throughout the year along the coast. How to get to San Juan Del Sur? There are a variety of ways to get to San Juan Del Sur, depending on what direction of the country you are coming from. If you are heading to San Juan from the Costa Rica direction, or even the Ometepe direction, you can easily get a taxi from Rivas, or a bus. If you are heading from Leon (which is where Bradley and I came from since we looped the country), you can get a shuttle bus. The shuttle is around $20 and it takes about 8 hours. I recommend going with Nicatime as they were the cheapest and the ride was pleasant. We stopped for lunch at a cheap place in Granada which was delicious. How long should I stay in San Juan Del Sur? This will depend on what you want to do. If you want to learn how to surf then I recommend spending a couple of weeks at a surf camp in Nicaragua, or if you want to relax then a yoga retreat might be a great idea (which could be 1-2), or if you’re just passing through on a Nicagarua backpacking route, then 3-4 nights is a great amount. Okay, now for the part you came for, the top things to do in San Juan Del Sur Nicaragua! These are all based on what Bradley and I did. Nicagura is one of the best places in the world to learn how to surf. Rather than just getting lessons by the sea, you should definitely spend some time at a surf camp! We stayed in Rapture Surf Camp for a couple of nights, and got a little taste of what you do to learn to surf here. It’s a really great community and all your food, surf board rental and surfing lessons are included in your rate, and you can choose to stay in dorms, really cute tents or actual air conditioned rooms! Anyway, it’s fantastic value and a great place to spend 1-2 weeks learning how to surf. I recommend a solid 10 days if you’ve got time. If you don’t wanna surf at a surf camp, then simply head to one of the many beaches in Nicaragua at San Juan Del Surf. Playa Yankee is a beautiful and secluded beach and boards are around $10 for a day rental and $20 for a lesson. Playa Maderas is also the most popular surfing beach. There are often lots of beach bars and shacks on the beach to buy snacks and drinks. San Juan Del Sur is the perfect place to relax. It’s got stunning beaches, many of which are uncrowded, beautiful blue seas and much more. 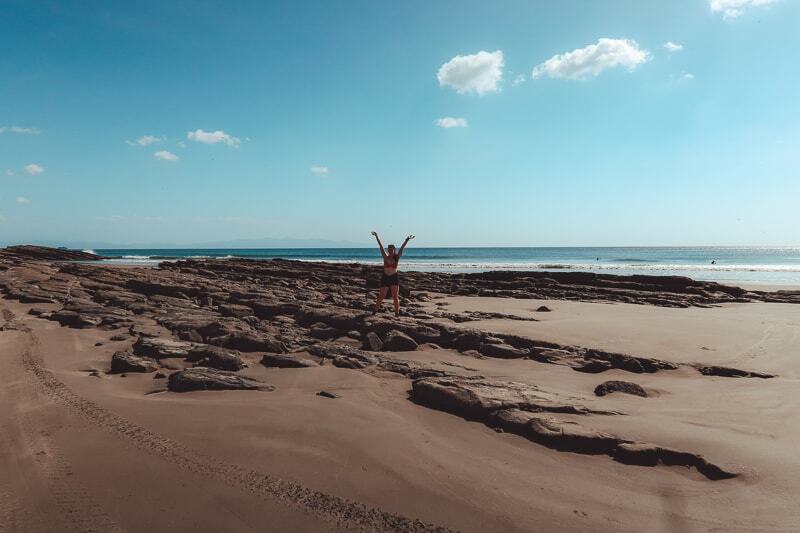 It’s a perfect place to relax and if you want a yoga retreat with the best food in the world (I am not exaggerating), then Costa Ducle is the place for you. It’s secluded, beautiful and you will leave here feeling like a new person! You can also combine surf and yoga at a yoga surf retreat here too. If you don’t want to go to a yoga retreat, then you’ll find that most hotels and hostels will offer yoga sessions for either free or a small fee. In peak season, San Juan Del surf is known for it’s party scene. Actually every Sunday they have this massive pub crawl where all the backpackers gather and bar hop all day and night. It’s called Sunday Funday and it’s quite cheap and includes pool parties. That’s a great way to meet people and have fun, but if you’re not there on a Sunday, there are many bars in the area that have live music and lots of drink promotions during the week. Like tequila for less than $1! You can easily DIY your own pub crawl. It’s not a difficult walk and you’ll be greeted with beautiful views of San Juan Del Sur. I actually think it’s really beautiful at night too when it’s lit up and shining. But this is a great walk to do just before sunset too. It will be a more pleasant temperature and the sunsets on this coast are unbelievable. To get up there you need to cross the drawbridge on the beach then head up. Follow the signs towards Malibu and there will be signs for the statue. It’s $2 for entrance to the Jesus statue. You will see lots of signs advertising this along the beach, and if you want a unique day out, then this is one of the fun things to do in San Juan Del Sur. You can get a ride that includes all your food and drink for the day, so you can sip on cocktails all day. It will be around $70. You will also get to stop and jump out and swim and snorkel. 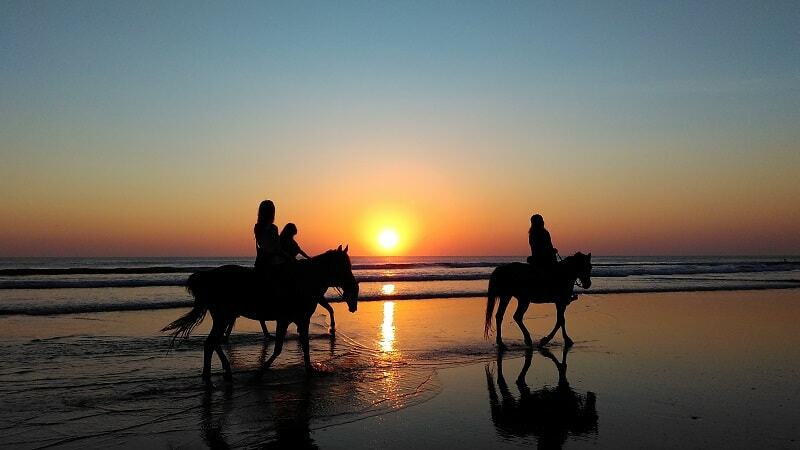 Picture a stunning sunset and a relax horseback ride on the beach. It’s possible to organize horseback riding tours with Rancho Chilamate to the beaches that are famous for tranquility, beautiful scenarios, and isolation. The guided tours can be made at any time of the day, whether it’s during sunset, or early in the morning. It costs around $65 per person. They last around 5 hours. I’d say it’s quite a romantic thing to do in San Juan Del Sur. The beach restaurants located on the beach are lovely with great views, great food and great 2-4-1 cocktails! They are a little pricer than other restaurants, but for the views and the atmosphere, it’s definitely worth paying a little more. These are great at both lunch time (you can dip in the sea! ), and in the evening to catch a sunset. Nicaragua in general is a great spot to learn Spanish. Plus Spanish is really useful to know in Central America, South America and Spain! Plus it’s an awesome language. You can visit a language school in San Juan Del Sur and spend hours learning the art of Spanish. You can actually get lessons for as cheap as $5 per hour, so there is no excuse not to learn. Choco Museum. 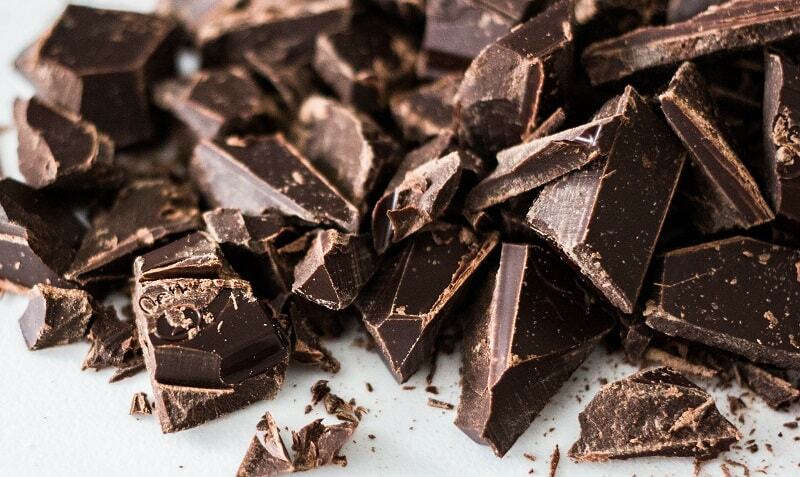 You can do a workshop on making chocolate to eating chocolate. It takes around 2 hours and you can buy some gifts to take home to your family and friends afterwards. They run every day at 11, 2, 4 and 8 pm. You can book online too. Mayan chocolate is SUPER DELICIOUS btw. There are LOTS of great places to stay in San Juan Del Sur. I’ll list my top 5 below, 3 of which Bradley and I stayed in! Rapture Surf Camps Nicaragua: Great surf camp for learning to surf and meet other backpackers. Situated in Playa Maderas in which you can get a shuttle too. Costa Ducle Resort: to rejuvenate, relax and refresh, my favourite place in all of Nicaragua. Selina Maderas: Selina is a go-to name that’s great for digital nomads and a wide range of room options. Casa Andalucia: On the hill top looking over San Juan, it’s beautiful and has a rooftop pool. These range of hotels have options to suit absolutely everyone. But you can search for all hotels in San Juan Del Sur Nicaragua here. San Juan Del Sur is cheap! Much like the rest of Nicaragua. You will find the beach restaurants are a little more expensive, but head in land and everything is cheap as chips. Accommodation is also not expensive, you can get double rooms for dirt cheap too. You can get by on around $20 per day! Obviously, if you want to splurge more than you can. All the actual good surfing beaches in San Juan Del Sur are outside the central area, so you’ll need to either get a taxi or shuttle to the beaches. There are tour agencies all over the place that offer shuttle services to the beaches,but many of them require a minimum of 3 people per shuttle. If you want a taxi you will have to negotiate hard for a price. We got a taxi to Playa Yankee for $15 dollars and a shuttle was $15 each, so it can be better value to get a taxi if you’re sharing with people. You can find a taxi driver on the street, ours turned out to be a big poop head, so make sure you get a nice one and AGREE beforehand on the price! 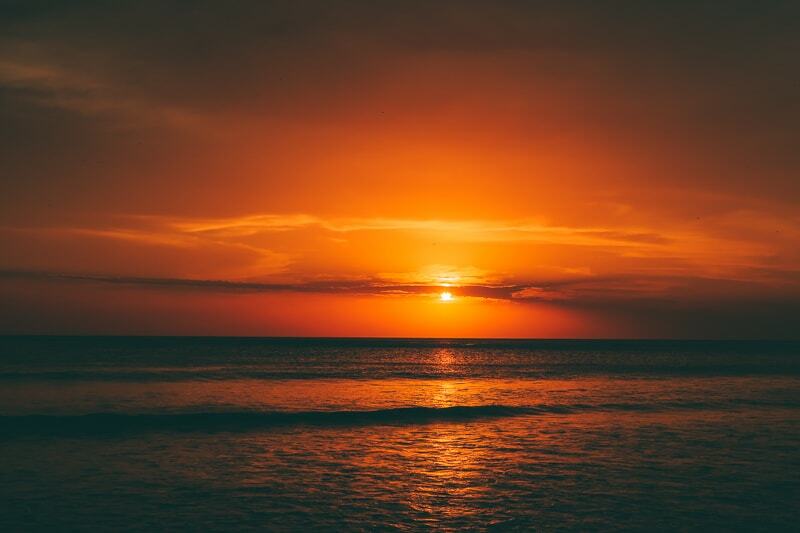 If you’re heading to Costa Rica, you can get a taxi to the border for about $20, or you can get head to the beautiful island of Ometepe and discover some of the best volcanoes in Nicaragua. Don’t skip Ometepe and head straight to Granada! I hope you’ve enjoyed my list on the top things to do in San Juan Del Sur Nicaragua. You might find San Juan Del Sur addictive and find you want to stay longer than planned, but don’t worry! If you've got any suggestions to add to my list, then comment below! Are you interested in great tours in Nicaragua?